The product launch video for a new plant watering system planted the seed for a company to blossom. When launching a new product, marketing materials need to attract, engage, and inform an audience in order for them to take interest in the product. 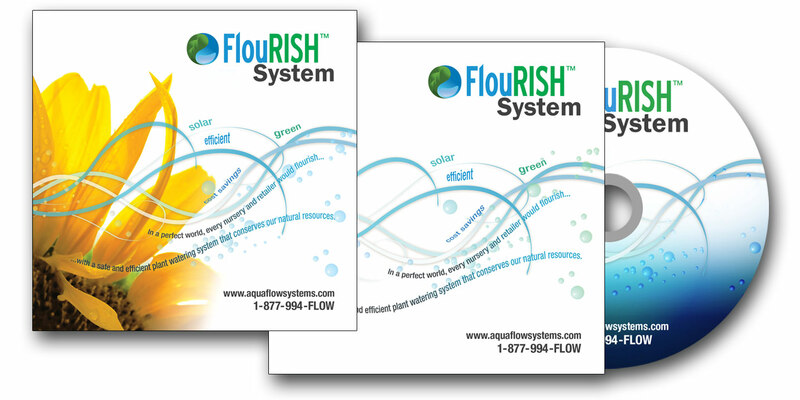 When the new plant-watering system, called FlouRISH, was developed, Collaborative Solutions was looking to accomplish all three marketing goals, and so they turned to Dynamic Digital Advertising for help. Two of DDA’s many specialties include video production and graphic design services. DDA Video would produce a video presentation to introduce the new FlouRISH watering system. The video would not only describe how the product works, but why it’s beneficial and unique. DDA Video went on location to Baltimore, Maryland to capture the product in use. Having these images of how the FlouRISH system works added an element of reliability to the video. The system automatically waters plants throughout the day and/or night through strategically placed solar-powered pumps. Then the water is recycled through the system. Through these images, a customer can see what to expect from the system and the real advantages. The FlouRISH System video combined soothing music, informative text, and related graphics to engage the viewer and promote this new product. An animated graphic attracts attention at the start of the video as it forms the logo, a yin-yang symbol of a leaf over water. What follows is a series of marketing messages coupled with related graphics and product imagery. The video smoothly transitions through each message, detailing the safe and efficient plant watering system and highlighting the key product benefits: how FlouRISH is different, cost-effective, efficient, green, and safe. DDA also provided the graphic designs of the disc label and the DVD package in which the video would be distributed. Informative text, pleasing graphics, product imagery, and music combined to create an engaging product launch video for the FlouRISH watering system. The final presentation was authored for DVD to distribute to target markets.